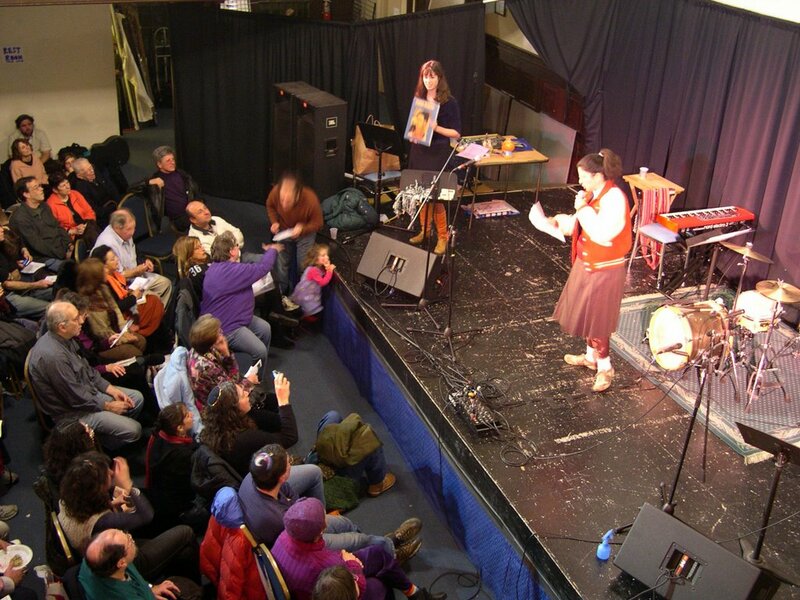 The Rotunda, 4014 Walnut Street, was the scene of the Third Annual Chanukah Benefit Concert, sponsored by the Jewish Dialogue Group and Kol Tzedek West Philadelphia Synagogue on Sunday, December 2, 2007. People of all ages, from babies to grandparents, packed the art space for the concert. Food and books were on sale. A silent auction was also held for Judaica such as menorahs and a tzedakah boxes. 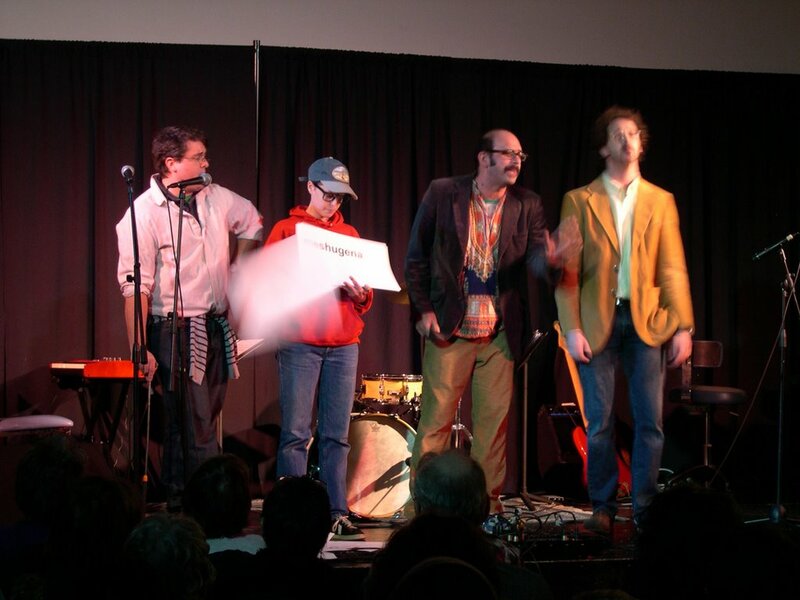 The concert began with a performance of a preview of the off-Broadway play March of The Falsettos, which will be performed in February next year. Noah Drezner, President of Kol Tzedek, and Rabbi Lauren Grabelle Herrmann, next spoke to the audience. "It's Hannukah," Graebel-Herrmann said, "and we all know the miracle of Hannukah, right?" Referring to the miracle of the one-day supply of oil lasting eight day, Graebel-Herrman said, "So this little thing of oil, that was supposed to last a short time, maybe a day, maybe less, lasted eight days. That’s the miracle of Hannukah, according to our sages." "Some say the miracle of Hannukah," she added, "is the very fact that a people, encountering a desecrated temple, encountering this tiny cruse of oil, chose to take that cruse of oil and light it." "The miracle was," said Graebel-Hermann, "the very idea that there is enough hope and courage of individual people to make a difference, and to make repair. That is the miracle of Hannukah that I would like to celebrate." The work of Kol Tzedek, she added, "is about the possibility of community in a world that is isolated, it is about the possibility of tikkun olam, of working for change in a world where’s it is easy to be apathetic and have dispair, and it is about the possibility of hope." Noah Drezner said, "Kol Tzedek is a progressive Reconstructionist Synagogue in west Philadelphia. We are the first synagogue that is returning to West Philadelphia in more than twenty years. " "Our name, Kol Tzedek, means ‘Voice of Justice,’" added Drezner, "and we do many activities, and we really do, not only talk about justice, but really do our social justice work." Mitch Chanin, Executive Director of the Jewish Dialogue Group, spoke next. "Some of you here know about us, and some do not," he said. "The Jewish Dialogue group is an organization I helped to start almost six years ago, that helps people to talk across political differences, about Israel and the Israel/Palestine conflict, and other controversial issues within Jewish communities. Our purpose is to help people at odds with each other …to have conversations about that issue and others that are useful to them instead of some of the not-so-useful things that have occasionally been known to happen, like fighting and bitter arguing and people avoiding each other." "The other purpose of the Jewish Dialogue Group," added Chanin, "is to make more space for people who are conflicted, ambivalent, or confused about things to be able to talk things through in a way that is useful to them, and that helps them gain more clarity and helps them figure out for themselves what they think and feel and what they want to do. As an organization, we do not take positions on any issues whatsoever, and our board members and volunteers have a pretty wide range of political perspectives. Our sole purpose is to help people have useful kinds of conversation than often happens." "The Jewish Dialogue Group," says Chanin, "leads structured, facilitated discussions in synagogues, summer camps, high schools, community centers, and colleges; they started out in the Philadelphia area, but they expanded to New York and Washington, DC, and other cities, as well as in Canada and Israel." 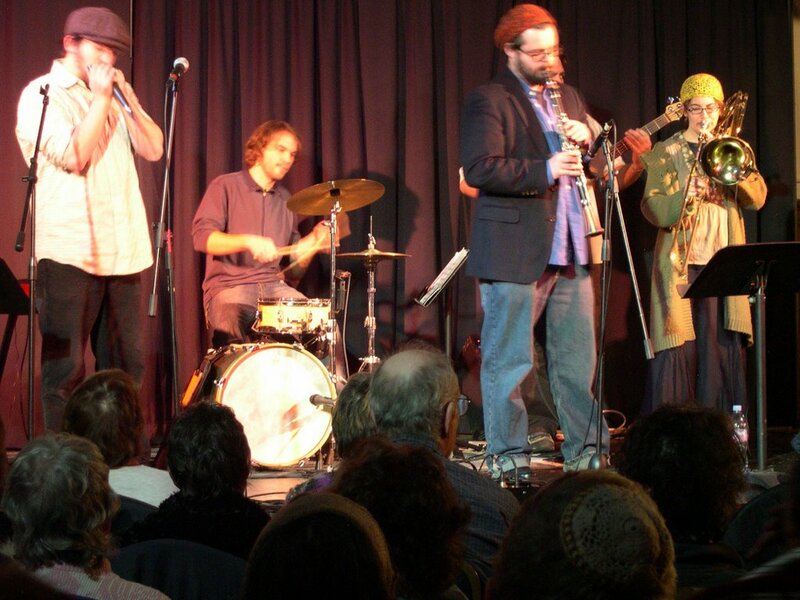 The main musical performance was from the group Streimel, based in Montreal and Philadelphia, which bills itself as playing "not so traditional Eastern-European Jewish and Turkish music." The "not so traditional Eastern-European Jewish and Turkish" musical performance of the group Shtieml, based in Montreal and Philadelphia, topped off an enjoyable, ecletic Hannukah evening at Kol Tzedek.